GREAT Turnout for our first home game yesterday and THANK YOU to all those who supported us - Seniors and juniors a like, family and friends, past players and sponsors. The feedback we received last night from our gate keepers was that a number of people were surprised that they had to pay to enter the ground. The EFL Rules are that after ¼ time of the under 19s (10.20 am) an $8.00 admission applies, Pensioners are $5.00 and children under 16 FREE. 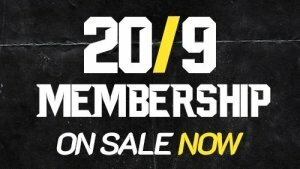 Please don’t be offended if your asked to pay at the gate if you DON’T have a valid 2019 Membership card. In a season of where revenue is going to be down due to the 3 Million dollar redevelopment of Walker Park we need more than ever for our supporters to become members.